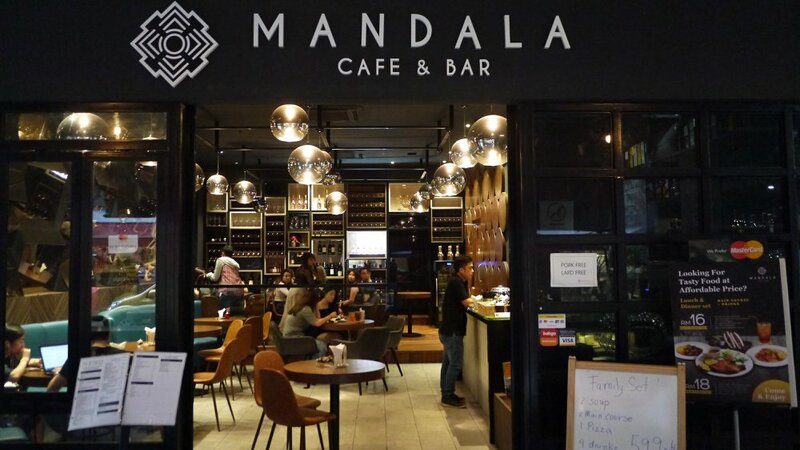 People in KL would probably heard about MANDALA Cafe & Bar before. 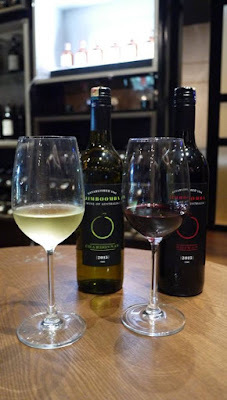 MANDALA is a wine bar situated in Publika serving a wide selection of fine Wine, Alcohol, Coffee and food. 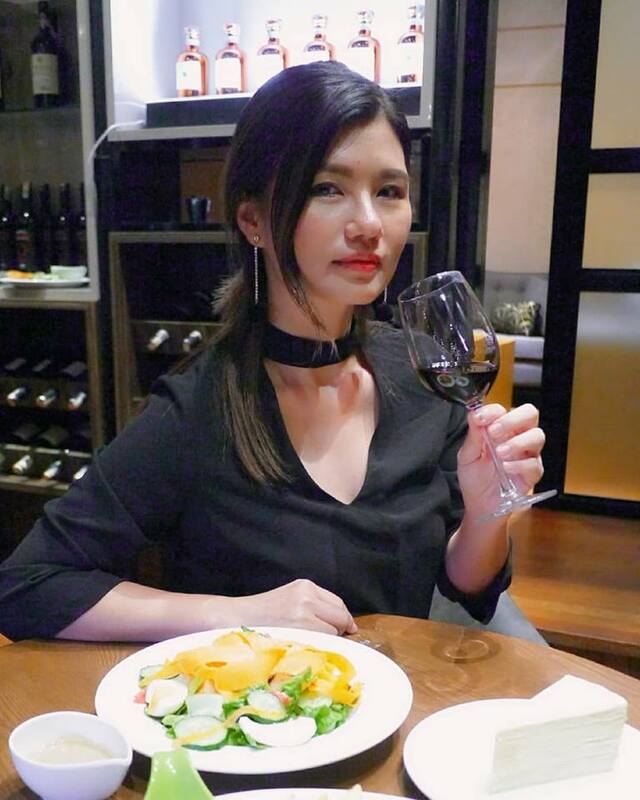 As a wine lover, I headed there for dinner last weekend. 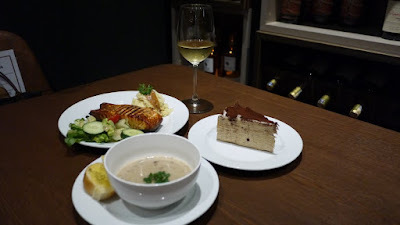 I was happy to find out that they are having the value 3 course set meal at only RM 70. The best part? It comes with a glass of Mandala’s house pouring wine. People said, you can’t buy happiness but you can buy wine and that’s kind of the same thing. 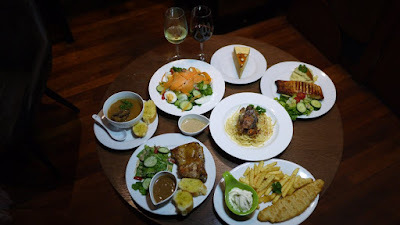 Hence, we ordered the 3 course set meal without any hesitation for our date that day. 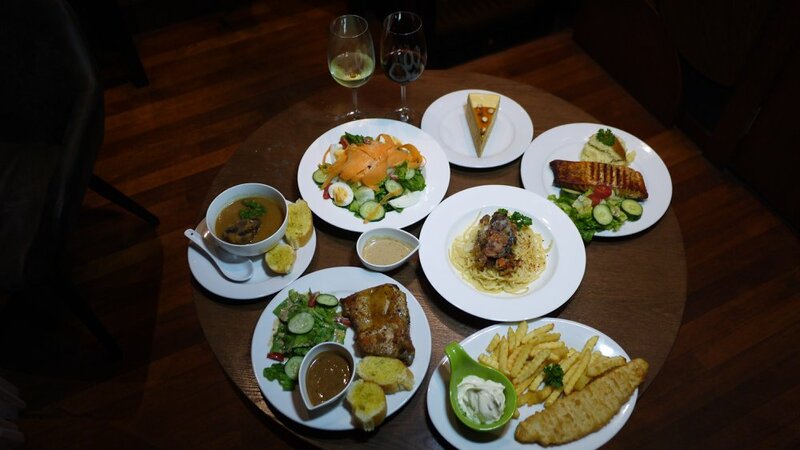 There are a lot of selections from the 3 course set meal menu. We could choose a starter, a main, a dessert and a glass of house pouring red/white wine. MANDALA’s Green – Fresh Green Romaine Lettuce, Cherry tomatoes, Japanese cucumber Hardboiled egg topped with Parmesan cheese tossed in Caesar dressing. Mushroom Soup – Creamy mushroom soup topped with truffle oil served with garlic toast on side. Oxtail Soup – Served in vegetable soup with rich but clear beef broth with garlic toast on side. Golden Soft Shell Crab Spaghetti – Pasta with an Asian twist of buttermilk sauce and lightly fried crispy soft shell crab. Grilled Chicken with Buttermilk/Black Pepper – Perfectly grilled boneless chicken serve with side salad and garlic toast. Jumbo Soft Shell Crab with Charcoal Bun – Crispy Jumbo Soft Shell Crab served with charcoal bun and French fries with Chili sauce. 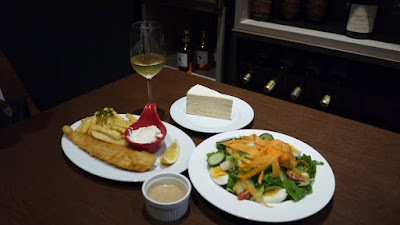 Fish & Chips – Freshly battered white fish serve with French fried, tartar sauce and lemon. 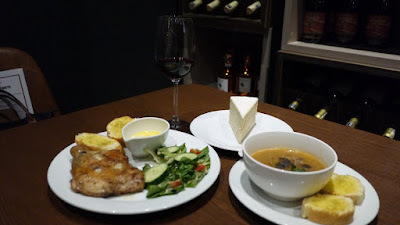 Grilled Salmon with Mashed Potato – Freshly salmon fillet served with mashed potato on side. We definitely had a great time at MANDALA Cafe & Bar. 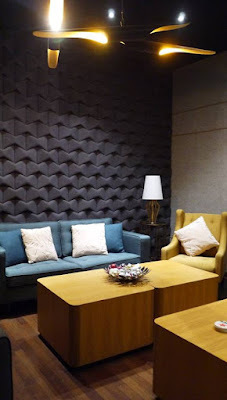 We love the nice ambience and comfortable dining experience there. The three course set menu was such good value and we left feeling full. They have a skilled head chef as the food tasted delicious and well presented. The waiter was very friendly and we felt relaxed. They even have a VIP room (with minimum spending) hence it is suitable for parties, events, meetings and celebration. No wonder celebrities like Jimmy Choo & Datuk Wira Lee Chong Wei also visited MANDALA before. I wonder if I sat on the same chair that my idol, Jimmy Choo sat before in MANDALA. Meanwhile, diners could also check out the new dishes at MANDALA. From mouth-watering Seafood Pizza to Jumbo Soft Shell Crab with Charcoal Bun, Grilled Salmon with Mashed Potato and Oxtail Soup. We truly love the Oxtail Soup and Jumbo Soft Shell Crab with Charcoal Bun, which are also available on the 3 course set meal menu. For more information on MANDALA Cafe & Bar @ Publika, go to their Facebook Page.